Transformers: The Last Knight begins in the Dark Ages, as King Arthur and Lancelot are preparing to enter a brutal battle. They try to stall, waiting for Merlin to materialize with some magical surprise. (Hint: It's massive and made of metal.) "This is what the end looks like," says a peasant, amid the carnage. 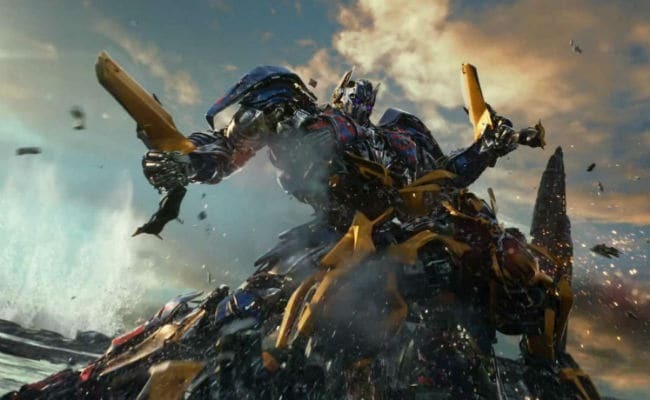 The fifth Transformers installment is just getting started, and already it's exhausting. Still to come: 2 1/2 hours of fiery explosions, bad editing, incomprehensible dialogue and nonsensical plotting. After that brief "historical" prologue, we're back in the present day, as mankind is working on destroying the remaining Transformers - giant alien robots who have existed for millennia. 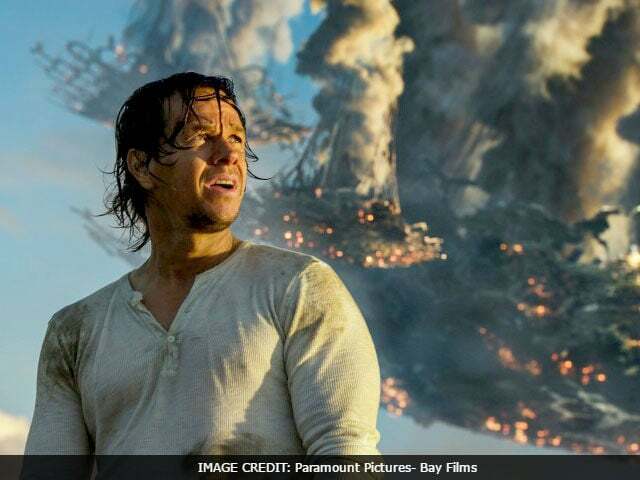 The machines do have a couple of flesh-and-blood allies: Cade Yeager (Mark Wahlberg), for example, a mechanic who lives in a junkyard, where he uses his skills to repair his buddies when they break down. But during a mission - to do something, but it's never exactly clear what - he winds up taking care of a spunky 14-year-old orphan named Izabella (Isabela Moner). Wouldn't you know it? She also wields a mean wrench, spending her time fixing up her own adorable metal pal. 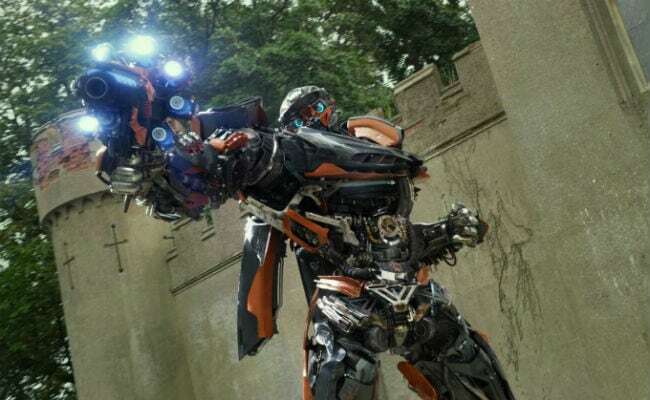 For reasons not worth getting into, Cade ends up on the run from both the government and the most malicious of the Transformers, Megatron (voiced by Frank Welker). In the midst of the chase, our hero gets intercepted by a dapper robot-butler named Cogman (Downton Abbey's Jim Carter), who delivers Cade to the elderly eccentric Sir Edmund Burton (Anthony Hopkins), a man claiming to know the secret to ending the war between humans and machines. The screenplay (by Art Marcum, Matt Holloway and Ken Nolan) checks off all the requisite boxes: Precocious kid? Check. Cute robot? Kooky old man? Cartoonish heroes? Dastardly villains? A good guy who becomes a bad guy (but only for a little while)? They're all here, including a comically out-of-place love story that develops between Cade and a brilliant academic (Laura Haddock) who, upon being kidnapped by Sir Edmund (in a nonviolent way, of course) decides to slip out of a very practical outfit into a tight, cleavage-baring cocktail dress - which she just happened to have with her. She and Cade have a little Elizabeth Bennet/Mr. Darcy thing going on - minus the witty repartee. At one point, Cade, belittling her, refers to her "stripper dress." Director Michael Bay apparently thinks that calling attention to her idiotic costume inoculates him against complaints of sexism. It doesn't. 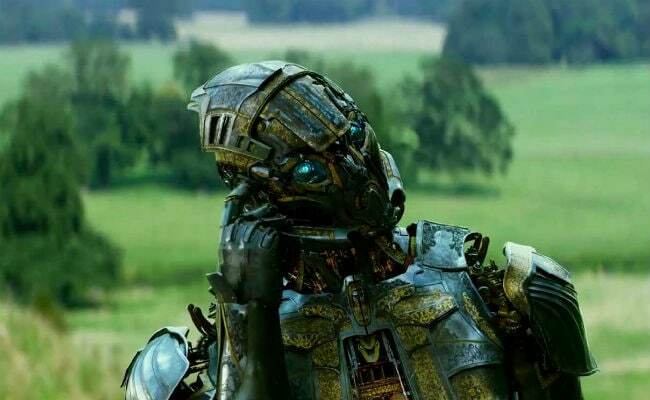 The same goes for the way another character calls Cogman a "C-3PO knockoff." It's good to know the filmmakers are aware that the robot looks exactly like the Star Wars character. The question is why anyone didn't think to fix the problem. It's hardly the worst offense in a movie that's cut like the world's longest and most tedious trailer, pinballing from scene to scene and rarely spending more than a few seconds on any single shot. 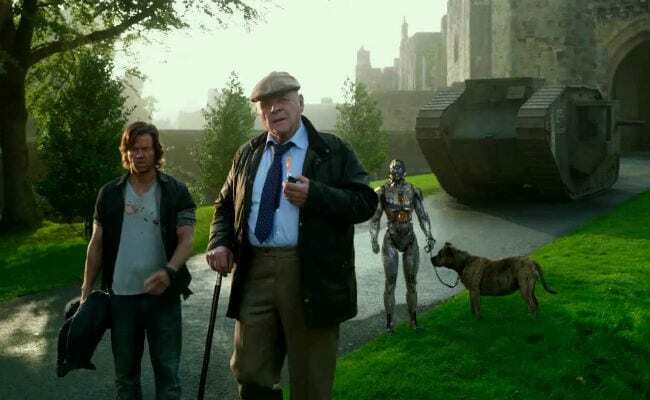 The Last Knight bounces from the United States to the planet Cybertron to London to Cuba to under the sea, as if hurrying to squeeze in even more confusing plot details. Wahlberg and Hopkins race through their lines, clearly trying to spit them out before the camera cuts away. It's no use. A lot of dialogue gets lost. Not that it matters. The script is nothing special and, besides, the movie is really aimed at a global audience, hungry for empty action. Watching Transfomers is like sitting in a car that's revving its engine while stuck in the mud. It sounds like it's getting somewhere, even though all it ever does is spin its wheels. One star. Rated PG-13. At area theaters. Contains violence, sci-fi action and strong language. 149 minutes.